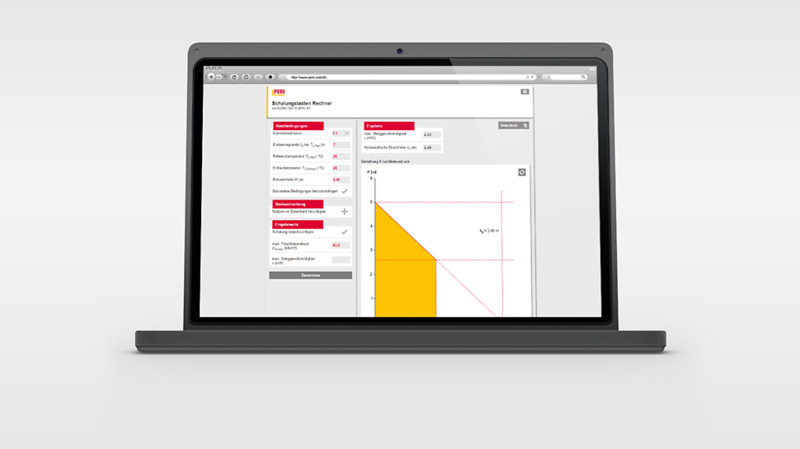 The PERI Formwork Load Calculator supports the qualified user in calculating the correct fresh concrete pressure in connection with the related pouring rate for selected PERI wall formwork systems. With this tool, the user obtains a very quick overview of the loads and deformations which leads to cost-effective utilization of the formwork system being used. The Formwork Load Calculator provides a fast support by calculating the current fresh concrete pressure more specifically the maximum pouring rate based on DIN 18218:2010-01 standard. The App can determine the maximum pouring rate for the PERI wall formwork systems TRIO, MAXIMO and DOMINO depending on the selected pouring height and deformation requirements according to DIN 18202:2013-04 standard. The wall formwork elements MAXIMO 330, MAXIMO 270, TRIO 270, TRIO 330 and DOMINO 250 with their anchor systems DW15, DW20, MX 15 and MX18 are for the purpose of determining the maximum rate of rise directly selectable on site. The results and the standard assembly of the various wall formwork systems are graphically represented on the screen. The application provides also the PDF output format for documentation, for direct printing or for sending via e-mail. A construction description for customers has been included into this datasheet. In 2010, the revised version of the German standard DIN 18218:2010-01 “Fresh concrete pressure on perpendicular formwork" has been published. This standard includes easily compactable concrete (F5 and F6) as well as self-compacting concrete (SCC). Base knowledge of this standard, its terms and definitions is required for the application of this web based application. The Formwork Load Calculator was developed to provide support for users by calculating the fresh concrete pressure and its application for the PERI wall formwork systems. 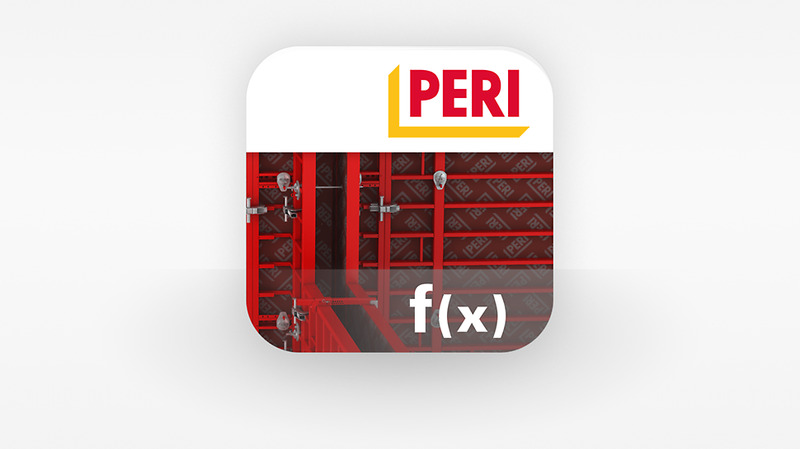 The app offers the possibility to digitally represent the standard in connection with various PERI wall formwork systems. This service provides a fast answer to the question, which speed the used formwork system can be concreted with . Considering this, the formwork systems will be cost-effectively and efficiently utilized concerning the loads and deformations. With this tool, PERI counteracts the risk of overloading, large deformations or even “non-compliance" with the requirements of the standard. 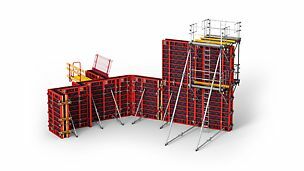 The users are therefore supported in their daily business with the PERI wall formwork systems DOMINO, TRIO and MAXIMO.